It can also be made in 18ct white gold or Platinum. 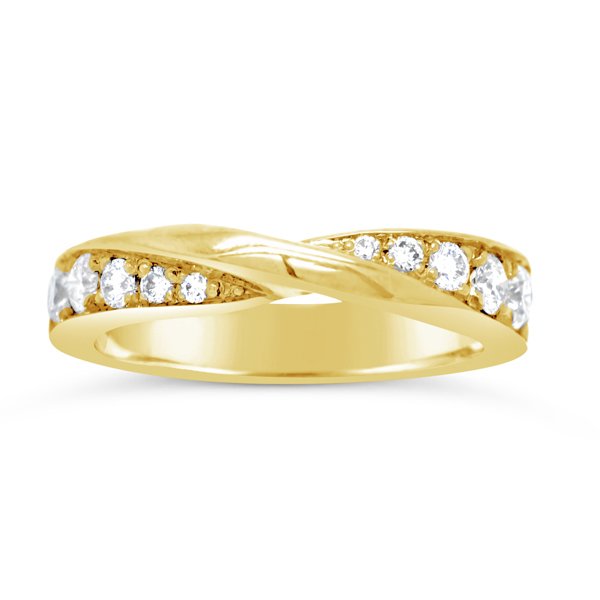 The twist rings sit beautifully on it’s own or with a solitaire engagement ring. It is especially useful when a flat band will not sit well as it accommodates the bulge where the stone sits in the ring.